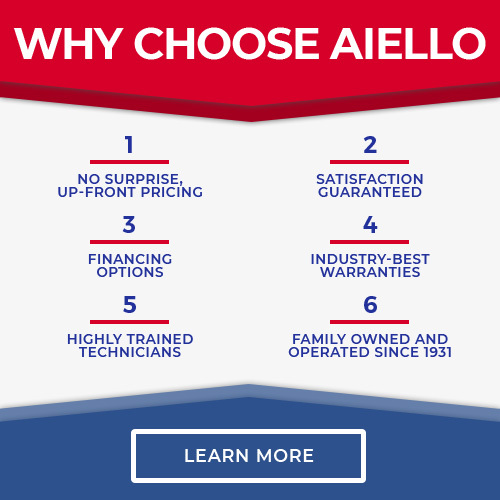 If You Have a Broken Water Main Line, Aiello Can Help! Your water main is one of the most important pipes in your plumbing system. Without it, you wouldn’t be able to get any water from the city lines to the faucets in your shower, sink, bathtub, or anywhere else. That’s why it is very important to make sure your water main is always working the way it’s supposed to. 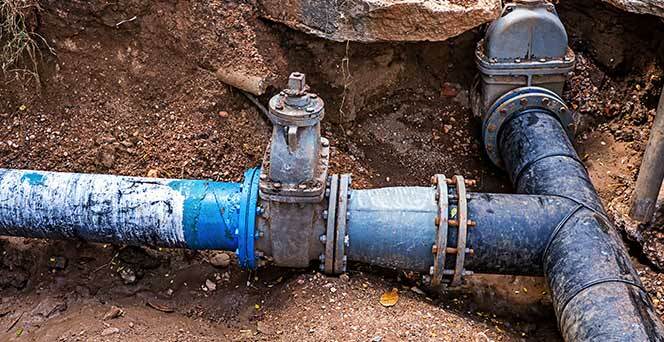 If you have a problem with your water main, Aiello Home Services professional plumbers can help you out. Our certified and fully licensed plumbers will come to your home and diagnose the problem, finding leaks or any other reason your water main might be broken and in need of repair. Depending on the problem, a repair might not be possible in which case replacing your main water line might be the only option. Our expert plumbers will provide you with all the options and costs to allow you to make the best decision on repair or replacement. They’ll take care of the problem quickly and with the highest quality work so you won’t have to go without water for too long. If you need your water main repaired just click the button below to schedule service online, or you can always give us a call! Schedule Your Water Main Service Today! Since your water main is located underground, it can be difficult to tell when it might be in need of repair. Fortunately, there are a few telltale signs you can watch out for to identify if there’s a problem. If you have water pooling in your yard, you have little to no water flow in your home, or you’re seeing a spike in your water usage when you look at the meter, these could all point to a problem with your water main. Another thing to take into account is if your water main is old, it could be more susceptible to leaks and other problems. If you have older pipes it’s a good idea to have them inspected more frequently to prevent or catch any problems before they get worse. 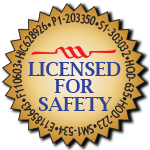 Our plumbers are the best of the best and are certified and trained to handle any plumbing service or repair you may need. You can have confidence that the job will be done right the first time! 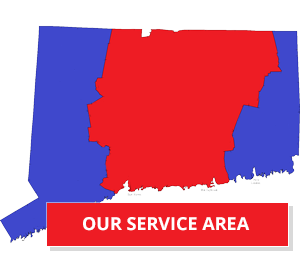 you can easily reach us at 855-569-9576 or contact us online and we’ll be there to handle your water main problem!